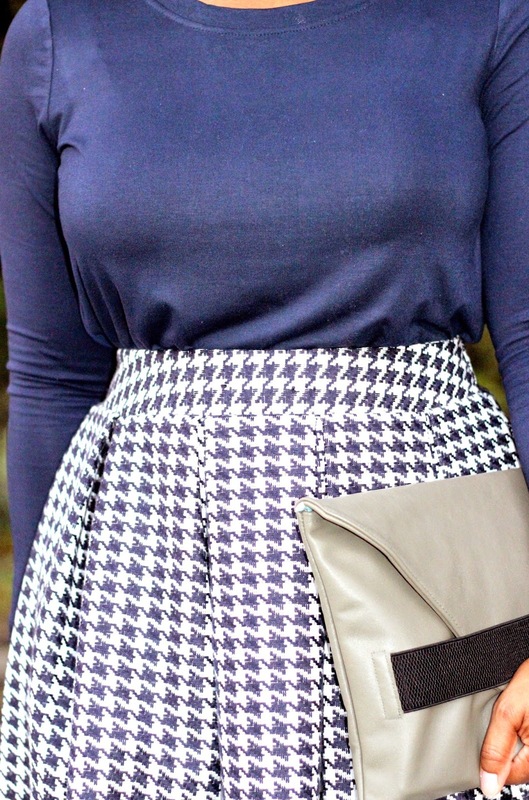 Something about blue and white and a pleated midi skirt makes me think of Paris. I've never been, but I imagine many of the ladies dressed classically and ladylike saying, "Bonjour," to each passerby on the street. It could just be my imagination, but it's a visual I will hold on to until I get the chance to visit the city of love for myself. At the moment, I'm still in the city that never sleeps – NYC – for the Christmas holiday, and we're about to go hit the pavement. Have a good day, friends... Or should I say, Bonjour.